Tarella: Investigate origin site of famous deadly plague. Special Instructions: If you solve, you automatically overcome Plague Ships. 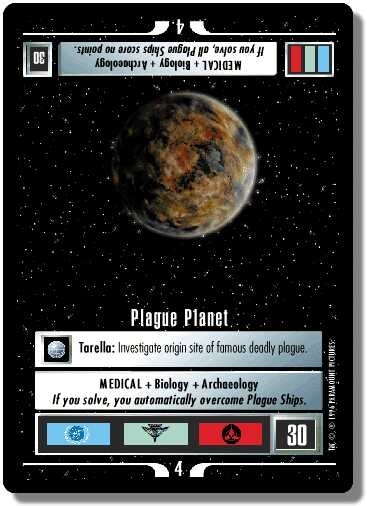 There are 41 entries for Plague Planet (ST1E 3 R 44) at the Tradeplace (63 haves and 9 wants). Click here to see all trade list entries for this Rare card!